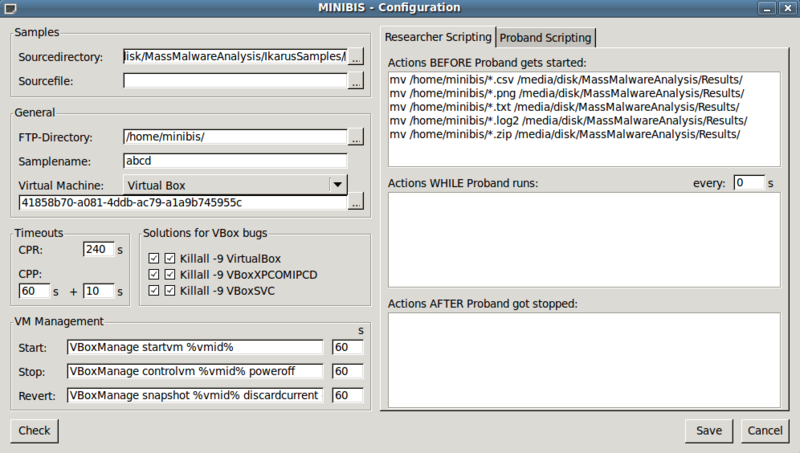 Minibis is a practical framework to simulate the process a malware analyst would perform. It’s up to the user to customize to their specific needs. Toolset available with pre-built, customizable widgets. Easy configuration of post/pre run actions, including a list of files to extract from the target after the malware has run.